Tent Rentals | Rent a tent for your next big event! 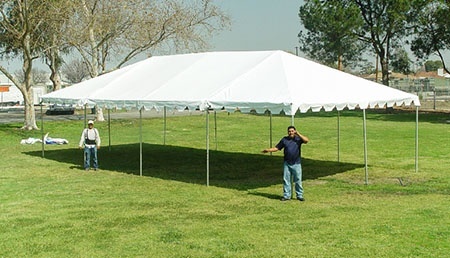 Event tents are perfect for any occasion including parties, weddings, festivals or any other special event! Are you looking to use a sturdy, reliable frame tent at your next event but don’t want to dish out the money to buy one? Well, we have you covered. 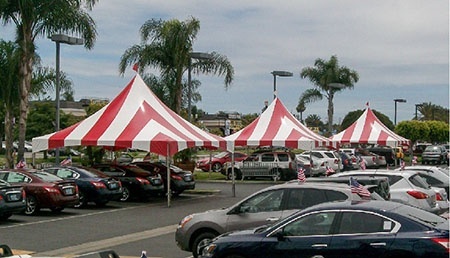 If you’re in the Southern California* area, our tent rental program might be the best option for you! We have hundreds of different tents that are available for rental. Our tent rental options are available in either high peak, standard frame or tentflatable style tents. Our high peak tents are very elegant in design and there are many versions available for you to choose from, ranging from smaller options to larger variants. Our standard frame tents are among some of the most iconic in design because they are a staple at so many events. One of our most viewed and interesting tents are our tentflatables. Our tentflatables are large tents with a giant inflatable shape on top. The large inflatable images that we have placed on top of the tents are either cars or marketing signage. Since our standard frame and high peak tents are pole tents, we can set up rental tents ranging in size from 10x10 and upwards to 40x100 or larger (if needed). We also have a variety of accessories you can add to the tents like walls if the tent structure needs to be enclosed. The tent top and wall material is 100% waterproof, so you’re guaranteed to stay dry in during a rainy day. We also have inflatable products that are available for rental that can be shipped anywhere within the U.S. Whichever product or size you’re looking to rent, we’re sure there’s something here for you. Give us a call today to see if we have a tent that’s right for your event or occasion. Our most popular frame tent size is available in standard, high peak and gable styles. 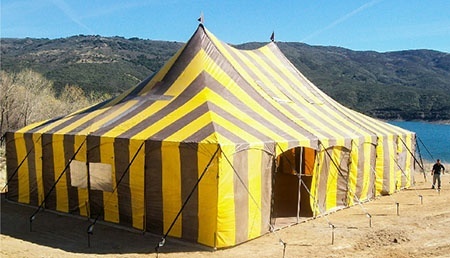 Find the perfect 20x40 tent with stripes or with a solid color in any style you want. The 40x40 is perfectly suited for large events with many people. 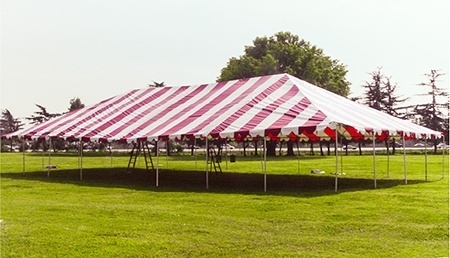 Choose between a solid color for your tent or a striped pattern for your next event. 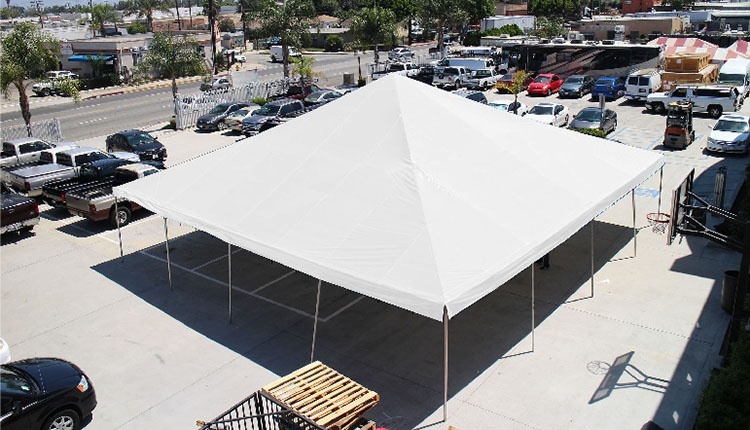 FInd a 40x80 tent in one of the styles we offer for any occasion. Very large tents are great for carnivals and concerts, with 40x100's being the most popular. we pride ourselves in being industry leaders with over 30 years of experience . We design, build and install all of our products! We value all of our customers and work to meet their needs. We have a large inventory, just let us know when you need your tent. All of our staff know the ins and outs of any tent. Purchasing a tent can be expensive especially if it's only going to be used once or twice, so we offer many styles, colors and sizes for you to rent for your event needs. We offer smaller tent sizes for smaller venues and large tents sizes for bigger events. These sizes range from an 8x8 to our 40x100 or bigger upon request. The best part of all is you can rent a tent for a day, a month, or even a year, just let us know what you need and when you need it and we will arrange to accommodate your schedule. Take a look at some of our most popular inflatable products. Our 1500+ inflatable inventory is ready to go whenever you need it. Below, we showcase some of our most popular tents that are available for rent. 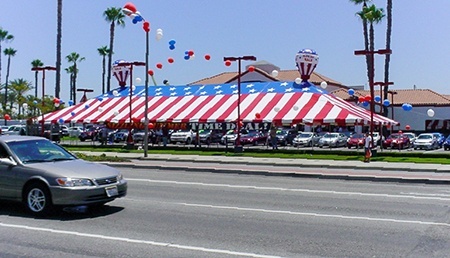 Whether you're looking for a party or an event tent, we have you covered!